Is your malfunctioning air conditioner a hot button for you? No doubt, an air conditioning breakdown on a hot summer day can try anyone’s patience. Don’t sweat it! The professionals at Quality Heating & Air Conditioning want to be your air conditioner repair superheroes. We come to the rescue when your cooling system has let you down. 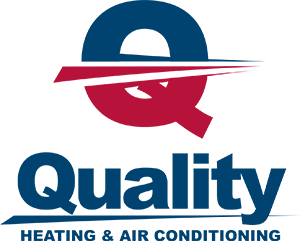 Our air conditioning pros at Quality Heating & Air Conditioning will repair, service or install your air conditioning system to get you back to the things that matter. We have experience on all makes and models and have been servicing households for years. 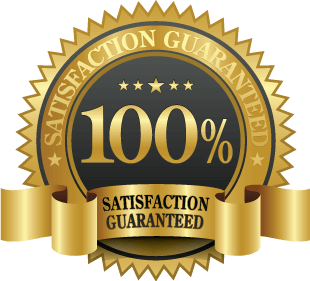 And we offer 100% satisfaction, our guarantee to you that when we leave, it will be right. How do you tell if your air conditioner needs repair? It seems straightforward, but there may be telltale signs before your system actually breaks down. The airflow from your system is weak. Dirty filters? Leaky ducts? Let us diagnose and fix the problem. There are noises that are coming from your system that are just not normal. Screeching? Grinding? Metal on metal scraping sounds? These are indicators of a problem. You may have loose or disconnected parts. Or a motor could be going bad. Moisture and condensation are accumulating. If there is moisture or leaking or ice forming in, around or near your system or in the ducts, this may be an indicator of a bigger problem. If you see refrigerant leaking, call a professional immediately. You are detecting strange smells. Burning or musty smells could mean problems with your air conditioner. The majority of air conditioner repairs are fairly simple, but often homeowners are afraid of large bills so they avoid making a call when the repair is small and can save money in the long run. It is always advisable to treat a potential problem at the beginning before it turns into something larger. The best way to head off a major breakdown of the system is to conduct regular, preventive maintenance. That way, you may be avoiding a larger air conditioner repair by finding a problem in the beginning. Quality Heating & Air Conditioning would be glad to set up a seasonal maintenance schedule for you. If your air conditioning system has run its lifespan, we would be happy to discuss replacement with new, energy-efficient equipment that will suit your needs. We will offer recommendations according to your home and budget and will answer any concerns you may have. Let Quality Heating & Air Conditioning be the company you call whenever you experience an air conditioner malfunction. We guarantee your 100% satisfaction. The pros at Quality Heating & Air Conditioning want to be your air conditioner repair superheroes!